When I got home last night my son, Patrick says to me “the oven’s not hot enough”. 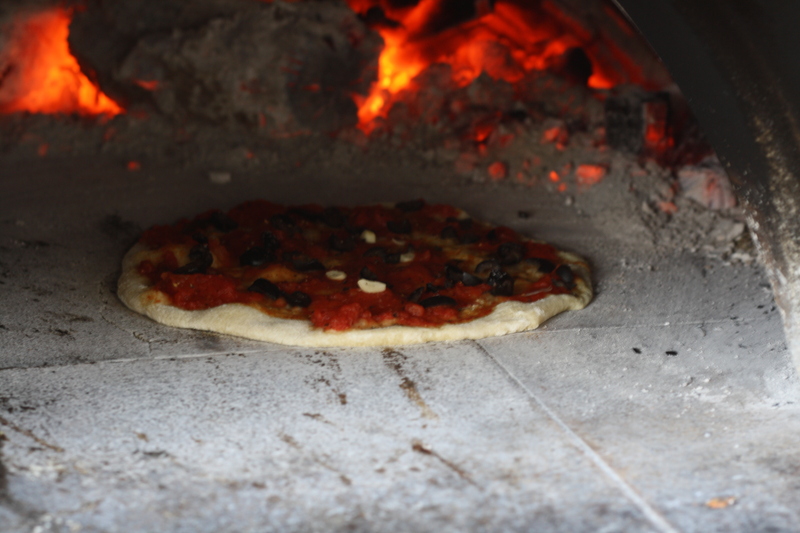 I said “what are you talking about?” He said, “the wood oven needs to be between 750 degrees and 900 degrees”. He read it on the internet in one of those pizza forums. I thought we were doing pretty good. 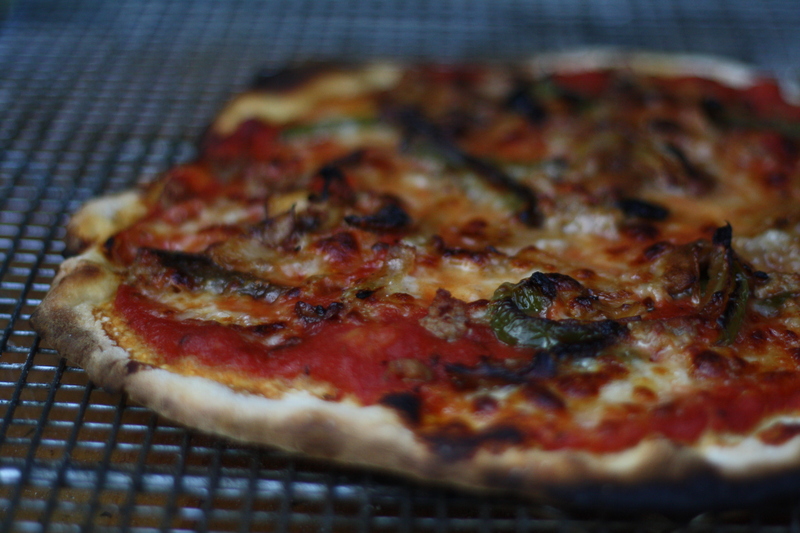 We made pizza on Sunday. We got the oven to 700 degrees. The pizzas were very good. Well my boys have become the pizza Nazis. Pushing the hell out of me to get this thing right. My younger son, James holds back at nothing. He will tell it how it is. He has told me on a number of occasions that the pizza is not good enough and we need to keep working on it. He said it won’t be perfect but we can keep getting better. 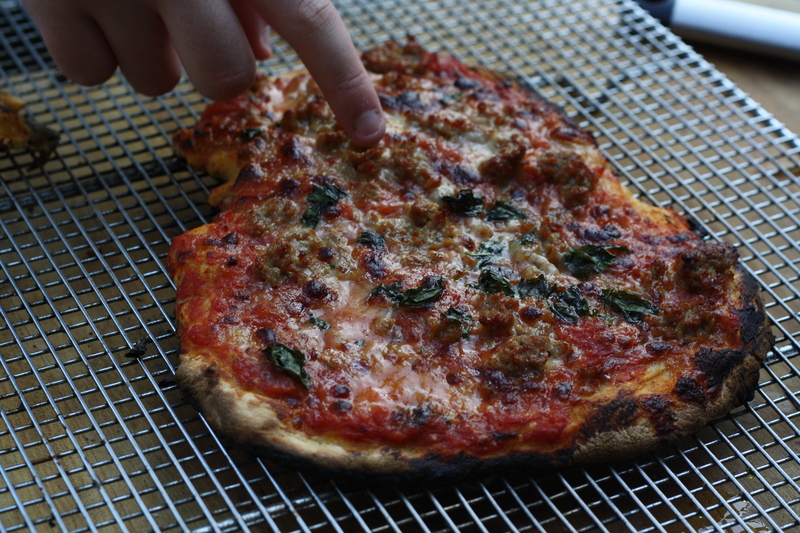 On Sunday the second pizza was rated a 6 by James and I thought it was delicious. I am humbled by him, but I am also forced to keep moving on. I keep playing with the dough. I have made pizza with all purpose flour. I have made it with bread flour. On Sunday I introduced cake flour to the party. I combined it with the bread flour. I also made another dough with the cake flour and the all purpose flour. Both doughs rose well. They felt smooth and pliable, but seemed to stop rising after about 6 hours. It appeared that the yeast had died. This has never happened to me before. 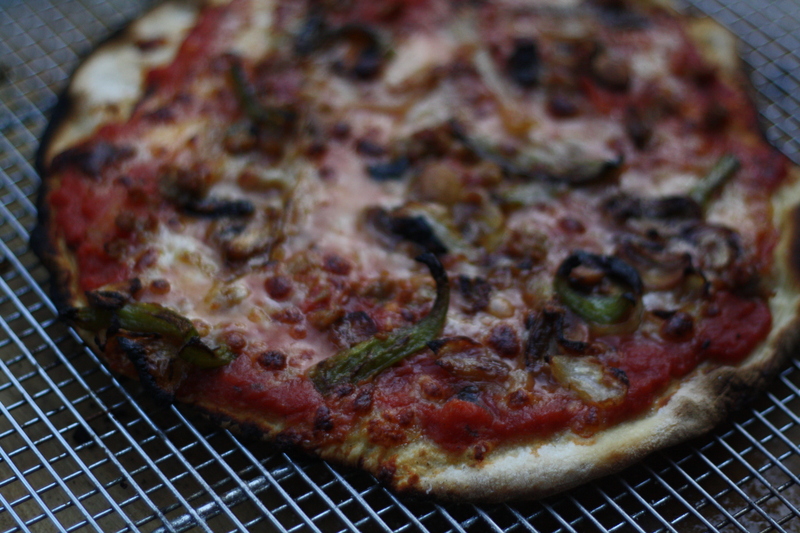 The pizza rolled out well, but when it was baked the crust remained flat as a pancake. The crust was truly thin like a New York or Chicago style pizza. The flavor was terrific. James preferred the dough with the bread flour. I couldn’t really tell much of a difference. Over the last couple of weeks James has been constructing every pizza before it goes in the oven. 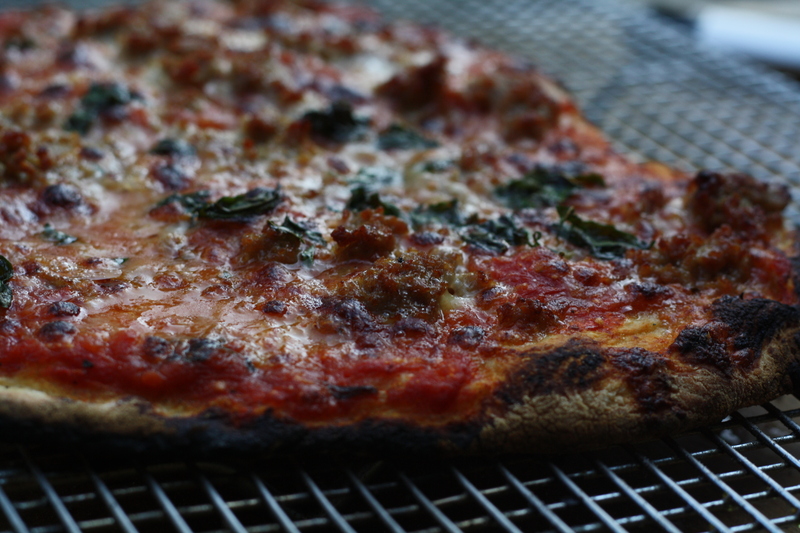 He spreads on the homemade sauce, grates and layers on the cheese and then distributes the toppings. His pizzas look and are beautiful. He is a perfectionist. He gives me crap because my pizzas don’t look as nice as his. We discovered Sunday that we needed to add more sauce. The amount he had been putting on the pizzas was inadequate and the pizza was coming out a little dry and flavorless. He allowed me to apply the sauce and after he bit into the first pizza with the extra sauce he said “WOW, we learned something this week”. Thursday is the day. Patrick said we need to load the wood in the oven the day before to dry it out. Another thing he read on the internet. We’ll give it another swing with the bat. I just hope I don’t get yelled at by the pizza Nazis.